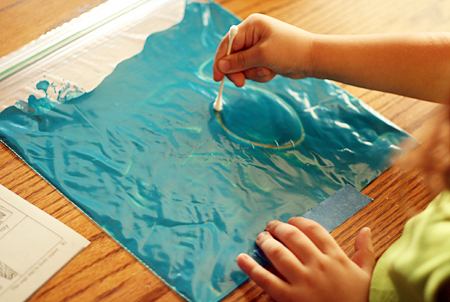 Finger Painting without the mess! Love it. If it remains sealed well I think you can reuse it over and over since the paint won't dry very quickly. Find out more at Let's Explore. Like magic. I had no idea you could keep a leaf from changing colors! I found this over a 5OrangePotatoes where they did a little experiment. So fun and interesting. If you still have a green leaf somewhere run quick and see if it works for you. 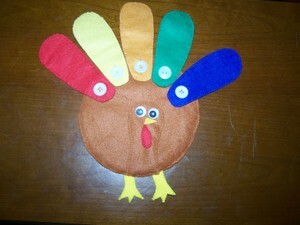 Make a toy turkey to go along with all of your favorite Thankful Stories from My Montessori Journey. I think at my little ones age we might need to use velcro but the idea is so cute. I love that you can rearrange the feathers and learn colors!